Posted on September 20, 2014, in Italian authors and tagged AndreaCamilleri, crime fiction, world literature. Bookmark the permalink. 18 Comments. I love this series, both books and televised. I am not a fan of subtitled programmes mainly because I cannot do something else at the same time, but I can with this series and yes, he is speaking Sicilian. 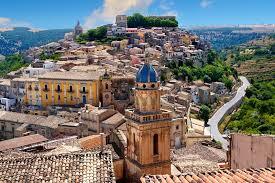 https://www.channel4.com/programmes/maltese-the-mafia-detective – set in Sicily during the 1970’s. Not much of a TV watcher, but I watched the complete series on demand over two days. Maybe it is worth mentioning that Catarella is not speaking Italian, but rather Sicilian with some mangled bureaucratic Italian mixed in. I feel suitably chastised Tom for mixing my Sicilian with my Italian. It’s not always bureaucratic lingo though is it, I thought I remembered the the mangles people’s names also or did I dream that? It took me a while to get used to Catarella. But his dialogue is a problem that the translator has to solve somehow. Nothing will be quite right. The mixed up names are likely the easy part. Detective beyond Borders recently had a terrific interview with the translator. Sartarelli discusses the Catarella problem in Part II. Love this series but have not touched it in years! Your review is making me want to go back…I read the Shape of Water and Rounding the Mark — and two more. I loved the writing about the food, wine and cooking. Actually, loved the receptionist Cat in the books. Is Montelbano still with Livia, the sort of bitchy fiancee? Definitely need to revisit this series, thanks for the review! Ah, I just re-read your review and see his still with Livia, ok.
I’ve been thinking about trying to get into this series through the television version because I have now had three unsuccessful attempts to read the novels. Perhaps starting at the beginning was my mistake but I think not as it was his writing style that I found really irritating. However, perhaps I should try jumping in later and see if I get on any better. I wouldn’t put the writing style as one of the strong features of the book, it’s just fun to read in small quantities. 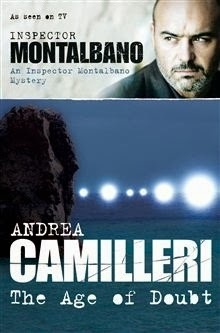 Well there’s an argument to do so as there are various incidents in Montalbano’s private life going on as background, so I think it’s helpful to read them in order. I should also mention that I tried Hunting Season by the author. A non Montalbano novel and was horribly disappointed. It was promoted as a “quirky” murder mystery but was crude and bawdy. I am no prude but I found it in very poor taste. Hm wonder if that was written before he got into Montelbano mode. I can withstand a certain about of swearing but it has to have a point. Too often it’s just gratuitous. I’m a big fan of the books. There’s a new one coming out next year: Game of Mirrors. do you think they need to be read in order Guy?